You’ve heard of people using coconut oil and the many claims of how great it is for your skin and overall health. But you’ve not tried it for yourself to see if it’s exactly what people are raving about. Not only does coconut oil provide wholesome energy as a food source, it also is used as medicine to heal the body from many natural elements including environmental toxins and pollution. In this guide, you will learn about the history of coconut oil and its many uses including aiding with effective weight loss and fighting illnesses. Coconut oil is also fantastic for the skin, providing moisture and can be used to treat skin issues like acne. It can also be used for the hair, providing nutrients to the follicles for stronger healthier hair. In case you didn’t know, coconut oil is popular all across the world. Many people swear by it for its many benefits. In Southeast Asia, the coconut tree is known as the Tree of Life. 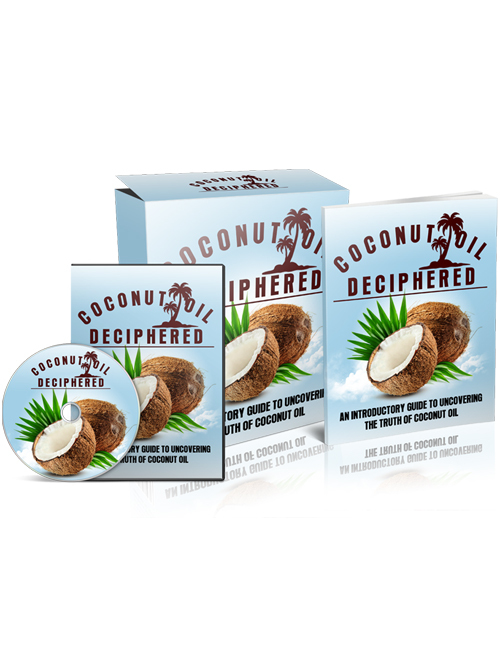 We’re only scratching the surface so when you’re ready, hit the download button and uncover the truth of coconut oil.